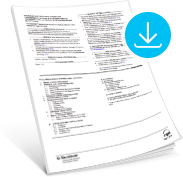 Download these materials and familiarize yourself with the information to confidently prescribe TAVALISSE. 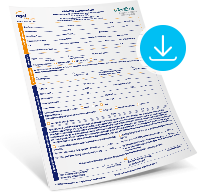 Use this form to enroll patients in RIGEL ONECARE and help keep your patients on track with therapy. Information such as indication, dosing, safety, and efficacy as approved by the FDA. Review the published results of FIT-1 and FIT-2 in: Bussel J, Arnold DM, Grossbard E, et al. 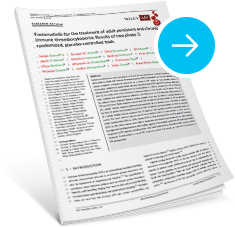 Fostamatinib for the treatment of adult persistent and chronic immune thrombocytopenia: results of 2 phase 3, randomized, placebo-controlled trials. Am J Hematol. 2018;93(7). Learn about the convenience of oral dosing without food restrictions, dosing modifications, and management of certain adverse reactions. 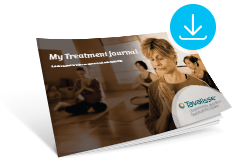 Provide these resources to your patients to help them along their treatment journey with TAVALISSE. 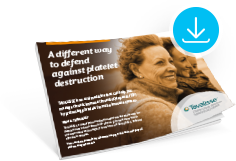 This brochure provides facts about chronic ITP and TAVALISSE in patient-appropriate terms. With this journal, patients can keep track of their therapy and how they are feeling on a day-to-day basis to help keep you informed.